Surat is a diamond hub and is an important town of Gujarat. A lot of tourists come from India and abroad to visit Surat every year. Surat (Gujarat) to Shirdi (Maharashtra) is 465 km. The time measured from Surat to Shirdi by road is 7 hours and 25 minutes. Travel to Shirdi is easy available by trains or bus services. Surat is having outstanding bus services both government and private. It provides good services to the travelers. Some famous private bus operators are Neeta Travels, Gujarat Travels, Paulo Travels, Shreenath travel Agency and Vishvakarma Travels. Daily five buses are available from Surat to Shirdi. The four different operators provide bus services of different fares. This journey time depends on the operator and the type of bus. Surat to Shirdi bus route also gives its travelers the flexibility to choose from various types of buses such as Non A/C Seater & Sleeper, Non A/C Sleeper and many other buses are available. The first bus takes off around 10:00 PM and last bus at 11:00 PM. Surat to Shirdi bus fare ranges starts from Rs 280 to Rs 450. The following are the list of bus operators. Surat (Gujarat) to Shirdi (Maharashtra) by taxi road distance is 465 km. The time taken by road is 7 hours and 25 minutes. The following are the cab and taxi fare. Surat to Shirdi by train is the best option. The train you can take is Ahmedabad Bangalore Express (16501). Surat to Shirdi by train distance is 233km. The time taken by train from Surat to Shirdi is 10 hours and 21 minutes. Kopargaon (KPG), Manmad Jn (MMR) and Aurangabad (AWB) are the three near train stations connected to Surat. Shirdi do not have its own airport. For air travel you can take flights to Aurangabad which is 130 km. The cheap tickets can also be booked for the nearest airports Pune (185 km) and Mumbai (260 km). In Shirdi, Sai Nivas is a place for room for Sai devotees which is located in Ahmedabad district of Maharashtra in India. Sai Nivas is being built and maintained by Shri Shirdi Sai Baba Sansthan trust. A great devotion is paid to the Shirdi Sai Baba on all weekdays and Thursday is treated as special and holy day in the week. There are lots of free services being organized by the trustees such as medical camp with almost twenty crew member. For Sai devotees, Shri Shirdi Sai Baba Sansthan trust had constructed a mega dharmasala at Shirdi with almost 156 rooms. The Dwarawati Bhakti niwas is two minutes walking distance and next to the Dharmashala from the bus stand. It is built recently in the year 2008. 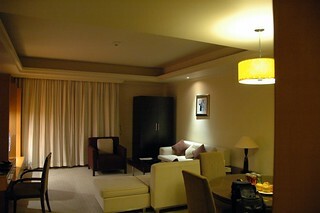 It has 334 rooms & dormitories & large rooms to accommodate small groups or families of six to ten people. It also have 80 AC Rooms .This complex is also well equipped with the facilities like the electricity supply with generator back up, parking space, 24 hour water supply and the security. Sansthan is taking care of the common Devotees by providing the accommodations at comparatively affordable prices. A simple room (non-attached with latrine & bathroom) with common facilities is available only at the charge of Rs. 50/-, which can contain four person and the A.C. suits are also available at the charge of Rs.700/- per day. The most important instructions for devotees are to bring original photo id as identity proof with them for room booking in Shirdi. Shirdi is surrounded by number of interesting places like historical and religious. The places to visit near Shirdi bring you an exciting picture of Ancient India, mythical & religious & historical India. The darshan of the divine Sai baba is the main tourist attraction for Shirdi, it will surely create different & permanent memory in your minds. Shirdi is the hub of sacred places where one can find several temples around Shirdi. A list of temples around Shirdi can be seen. It is a religious place famous for its Sai baba temple. Many people visit this place every day. Mostly on Thursdays as it is considered to be guru’s day and Sai baba himself was a religious guru. Shirdi is a place for who wants to relax themselves by having peace of mind. The places near Shirdi are listed below. Sakuri Kanyakumari Ashram is located just 3 kilometres from Shirdi. This is a very peaceful place, clean, decent and well-organized. It is a moving & inspiring location, ideal for those who wish to think and secure peace to their mind. Saint Upasani Maharaj and Sati Godawarimata are the great disciples of Sai Baba have built this Ashram for stay. Shani Shingnapur is one of the most energetic and holy places in Maharashtra. Shani-Shingnapur is the holy place of Lord Shani. Shani Shingnapur is located 75 Kms away from Shirdi. This village is the center of curiosity for the tourists. Devotees believe that Lord Shani has his life here in vibrant & live form. This place conclusively possesses the most unique feature. One unique quality about this village is that there are no door frames or locks in any of the houses. They are always open, never locked or even bolted. Yet there has been no example of theft, as people believe that a person attempting theft becomes blind. It is said that it’s because of Lord Shani’s blessings that there is no fear of crime in the village. The devotees themselves can perform pooja and abhishek on any day. The no moon day or Amavasya falls on a Saturday is considered to be most important day. On every Shani Amavasya a yatra is held. Moving our journey for a little while from Shani Shingnapur we can reach Renukamata temple within few minutes. The temple walls are fixed with mirrors. 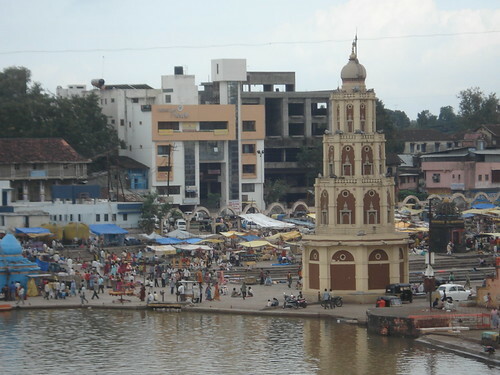 Nasik is one of the most important cities of Maharashtra. Nasik is about 75 kilometres from Shirdi. Nasik is rich in mythological connotations with great historical and cultural significance. The city has remained in the attention from mythological days, for the holy shrines like Panchavati. Panchavati is famous from the days of Ramayana as Lord Ram, Seeta and Laxman had camped at this site during their 14 years ‘vanvas’ (house in the forest). It is believed that Demon Ravana had kidnapped Seeta from Panchavati. Nasik is religiously important as it hosts the Kumbha mela every 12 years when sadhus, devotees & pilgrims assemble in millions. Nasik also has Shri Kailas Math one of the Vedas Schools in Nasik. Trimbakeshwar is famous for the ancient ‘Shiva’ temple. Trimbakeshwar is one of the 12 holiest abodes of Lord Shiva dedicated to Shiva and this one is considered to be the main Jyotirlinga. Maharashtra’s first river ‘Godavari’ has its origin at Trimbakeshwar. The village of Trimbak is 36 kms from Nasik, is famous for the Trimbakeshwar Temple and as the source of the Godavari River. The temple of Lord Shiva at Muktidham is another beautiful place commendable of visit. It is situated on the Nasik Road Railway station 80 Kms from Shirdi. Muktidham promises a sense of relief from miseries, shrewd bondages and woes. Saputara is close on the borders of Maharashtra and Gujarat on the hill station of Saputara. It is the natural beauty of ‘Rangha falls’ beckons you. At Saputara you can enjoy the exciting experience which is about 130 kilometres from Shirdi and 100 kilometres from Nasik. The famous Daulatabad Fort is situated about 146 kilometres from Shirdi. It is one more unique destination for the students and lovers of history. This fort used to be capital of Maharashtra in way back in 12th century. Daulatabad Fort is speechless observer to Maharashtra’s rich culture and prosperity about eight centuries ago. Bhandardara Dam is a famous hill station shows the natural beauty of waterfall known as Ranghafall. It is about 130 kilometers from Shirdi. Paithan is located 56 km south in Aurangabad on the Godavari River in Maharashtra. Paithan was home of the great saint Eknath whose Samadhi can be found there. Paithan is famous for its saris, the Paithani beautiful silk saris which are embroidered gold or silver ‘zari’ border. It is considered as one of the richest saris in Maharashtra. Devgad Datta Mandir is located just 60 kilometers away from Aurangabad near the way to Shani Shingnapur. Devgad is famous temple dedicated to God Datta. It is built by a great soul Kisangani Baba on the banks of the river Pravara. Newasa is a small place about 90 kilometers away from Shirdi on the South-East direction. This is the place where famous Marathi poet, philosopher and yogi, Saint Dnyaneshwar wrote the ‘Dnyaneshwari’ which is the most sacred works in Marathi literature. Dnyaneshwar is the author of Dnyaneshwari lived and attained Samadhi in Alandi at the tender age of twenty-one. The famous Samadhi of Shri Gajanan Maharaj is a spiritual saint as popular as Sai baba of Shirdi. The large numbers of pilgrims come here from far-off parts of country. Ajanta and Ellora Caves is about 144 kilometers from Shirdi and are the world famous Ajanta and Ellora Caves. As the ancient magazine of Indian architectural heritage, these caves are located near the city of Aurangabad in Maharashtra. 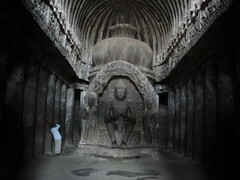 Ajanta and Ellora caves are the world heritage sites famous for the cave shrines that are cut out of rock all by hand. There are 34 caves at Ellora and 29 caves at Ajanta. The pilgrims visit Shirdi to make a mark in their spiritual journey. This holy land becomes a turning point in the lives of many devotees. Coming to this holy land is also an invitation to visit many religious sites that you will surely like. Ellora caves are locally known as the ‘verul caves’ are situated 29 kilometers from Aurangabad and 98 kilometers from Shirdi. The caves are a world heritage site which was built during the 5th to 7th century. Ellora is also world famous for the largest single rock structure in the world “the great Kailasa” (Cave 16). There are around 100 caves out of which 34 caves are most visited by tourists. The world famous paintings at Ajanta caves are tourist’s attraction. Visit to these ancient caves bring the sense of fulfillment especially to the students and votaries of history, culture and archaeology. Sakori is close to Shirdi at a distance of about 5 kilometer. Sakori is a very special place and popular for its Shri Upasani Kanyakumari Sthan. You can come here for peace and calmness. Sakori is founded by Upasani Baba in 1917. Shri Upasani Kanyakumari Sthan is with positive energy that can be felt by anyone. Shri Sai Baba took him as his Param Shishya, meaning Astute Devotee. Shirdi is a most visited holy place of Sai Baba. The city Shirdi is a religious town located in District Ahmednagar of Maharashtra INDIA. It is widely known in India and out of the country for Shri Sai baba Samadhi. Recently a train has been started from Mumbai to Shirdi. Shirdi Airport is an airport under construction near the holy city of Shirdi in Maharashtra in India. The airport is spread over 400 hectares and is located at Kaki village about 14 kilometers Southwest of Shirdi. The Rs 340 crore airport projects is part of the State Governments effort to promote religious tourism at Shirdi is known for the temple of Sai Baba among the most sacred spiritual gurus in India. Around 80000 devotees visit the temple town daily and the numbers go up to 3 lakh per day during weekends, Thursdays, Guru poornima, vacations and festivals. These pilgrims entrance Shirdi by the use of road by Sainagar Shirdi Railway Station and via air by the Aurangabad Airport located 125 km from Shirdi. The airport is being built by the Maharashtra Airport Development Company (MADC). The plans for a permanent building costing around Rs 40 crore have been excess due to shortage of funds and a smaller terminal costing 3- 4 crores will be built as an alternative. The Ahmednagar district administration officially acquired land for the airport project on December 22 in 2009. The single runway was initially intended to be 60 metres wide and 2000 metres long and the airport was expected to start operations in December 2011. The MADC decided to extend the length of the runway to 3200 metres to enable operations of larger aircraft and so the project missed its deadline. The work is now expected to be completed in 2018 before the impending birthday celebrations of Sai baba’s Samadhi that will draw thousands of devotees to the pilgrim town from various parts of the country as well as abroad. Government of Maharashtra has taken a decision to develop a full-fledged international airport at Shirdi. MADC has prepared plans and designs for this airport considering presently as “Code-D” airport stretch to “Code-E”. The proposed of Shirdi airport which was to be inaugurated by President Pranab Mukherjee on November 16. 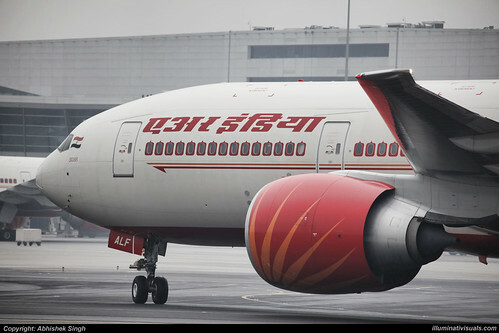 The Maharashtra Airport Development Company (MADC) has now stated that the project cannot be inaugurated in November. MADC have completed 70 per cent of work. With the MADC getting only a total of Rs 216.43 crore for the Rs 315-crore project, officials said funds was another reason for the delay in end of the project. MADC got about Rs 50 crore from the Shirdi Devasthan and the remaining from the government through loans. The government allocated Rs 86.43 crore only this year. The project commenced in 2010 and was supposed to be ready by the beginning of 2012. The nearest airport to Shirdi is at Nasik 75 kms away, Aurangabad is at a distance of 150 kms which is connected by all the major towns of India. You can also come till Mumbai by air and travel down to 296 kms to reach Shirdi. Mumbai has both international and domestic airports that allowance connectivity to the world. Domestic airport in Pune is about 231 kms from Shirdi. There are regular public and private transport operators that ensure your easy access to the hut of Sai baba. Nagpur is one of the popular cities of Indian state Maharashtra. 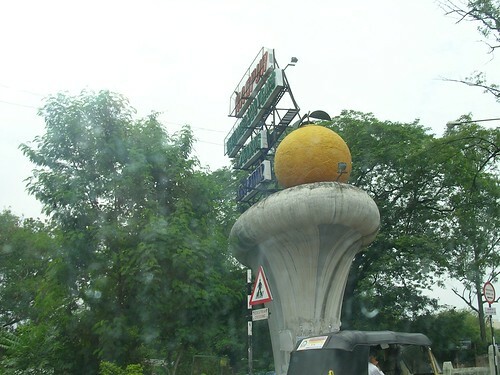 Nagpur is one of the third largest and most developed cities of the Maharashtra. Nagpur is well connected to the rest of the countries through road, rail and airways. Shirdi is the famous as the ‘Land of Sai’. Shirdi welcomes thousands of tourists every year. Shirdi is well connected to the rest of the country through all major modes of transportation like rail, road and airlines. Nagpur (Maharashtra) to Shirdi (Maharashtra) is 660 km. The time taken by road is 9 hours and 10 minutes. Nagpur to Shirdi travel distance is 506 km and time taken is 11 hours and 05 minutes. The best trains to take from Nagpur to Shirdi are Hatia-Pune Biweekly SF Exp (22846) and Azad Hind Express (12130). Nagpur (Maharashtra) to Shirdi (Maharashtra) trains is available on with fares starting from Rs 302 and the train journey duration is 12 hours. Nagpur is the largest city in central India. The following are the train name, schedules and duration. Nagpur (Maharashtra) to Shirdi (Maharashtra) is 660 km by road or car. The time taken by road is 9 hours and 10 minutes. A total of 2 operators provide bus service from Nagpur to Shirdi. Nagpur to Shirdi takes around 12 hours and 49 minutes to complete this journey depending on the operator and the type of bus. The buses start from 06:00 PM to 07:33 PM in the night which provides all services to the customer. The Nagpur to Shirdi bus fare start minimum from Rs 750 and the maximum to Rs. 1100. Nagpur to Shirdi bus travel provides various types of buses such as Non A/C Sleeper, A/C Sleeper and many other types. The air travel distance between Nagpur and Shirdi is 504 kilometers (313 miles). Also there is no airport in Shirdi. The Nearest airport to Shirdi is Gandhinagar Airport which is 76 km far. Nasik (Maharashtra) to Shirdi (Maharashtra) is 82 km. Nasik is located in the western area of Maharashtra state. The city is well connected by a network of buses, rails and flights. Nasik lies on the T-junction of two main national highways NH 3 and NH 50 which connect the city to other major cities. The time taken by road from Nasik to Shirdi is 1 hour and 30 minutes. The holy place of Shirdi can be easily reached from Nasik. Air travel is not possible as Shirdi does not have an airport. There is no airport in Shirdi and nearest airport to Shirdi is Gandhinagar Airport in Nasik (76 km). Direct trains are not available. Nearest railway station are at Manmad and Kopargaon and daily passenger trains hound between the stations. Nasik (Maharashtra) to Shirdi (Maharashtra) is 82 km. The time taken by cab or car from Nasik to Shirdi is 1 hour and 30 minutes. The taxis can be hired and charges are between Rs 2500 to 4000 for a round trip. Many bus services connect Nasik and Shirdi almost around the clock. Nasik to Shirdi is 82 km and time taken is 1 hour and 30 minutes. One can get various deluxe as well as semi-deluxe buses for Nasik which will cost starts from Rs 125 to Rs 400.